Spread betting is much complex than the traditional forms of betting and the risk is usually higher in this. This is why it is important to have proper knowledge of this particular betting type before you decide to dive into it. 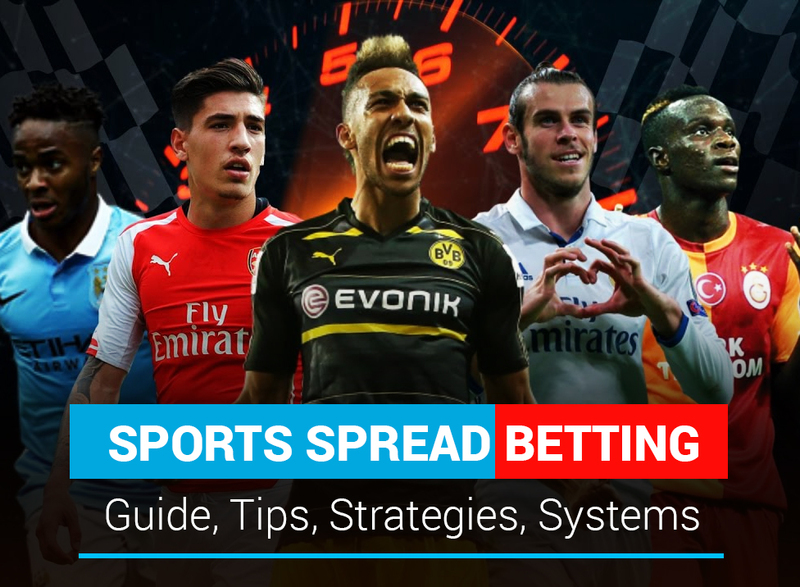 If you are looking for Sports Spread Betting guide, then this guide can help you get a little more familiar with the industry and the techniques involved in sports gambling spread. In simple terms, spread betting is a financial process in which the bettor only predicts the price movements (fall or rise) of the market, without actually having to purchase the concerned assets (stocks or commodities). The predictions are made based on the price estimates offered by a broker/agency. The main benefits of this betting method are tax-free trading and the wide variety of target markets. Financial spread betting is the most popular one, and it is beneficial to have the basic knowledge of this field, even if you are planning to bet only on sports. Financial spread betting involves speculations on the movement of related financial markets with the aim to earn profits. It is also one of the riskiest types of spread betting because the bettors can lose thousands, sometimes even more than their initial investments. It is wise to evaluate the market properly and have a suitable mechanism in place to minimize the risks. 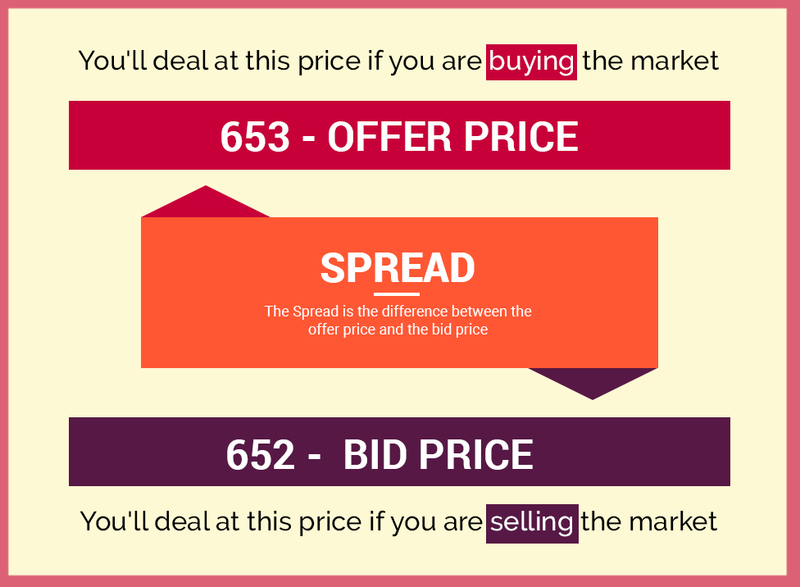 The primary difference between traditional betting and spread betting is that in the later one, the actual bets are placed on the spread (or difference) between the selling price and buy price of a commodity rather than the price itself. The spread or change is assigned some points and the bets are placed on these points. For example, let’s assume that for a particular commodity, the one pence change in the price is equal to one point. Now, if the price of the item (stock) rises by $2, then it will amount to 200 pence or 200 points. If a broker makes an “up bet” at a value of $1 per point, then his total profit will be $200 by the end of the market. As you can see, the profit margins are very high in this type of betting, and so are the loss risks. Although spread betting is usually associated with the finance market, it is now also being used in the sports. Spread betting in sports works more or less the same way as in the financial market. Suppose that you want to place a spread bet on a sports team’s score that you think their final score will be above or below the limit. If the spread is set at 100 points and you make a bid of $2 per point for higher score points, you’ll win $2 for every additional point the team makes. And if the team gets a lower score than the spread (100 points), you’ll lose $2 per lower point. Clearly, the earning potential is very high in this sports betting, but only if you are willing to take risks. By improving the bid amount, you can substantially improve your profit (or loss) margin. There is also a mechanism, called stop-loss, in spread betting that allows you to define a point in the bet when you can cancel the bet and take a loss, to minimize the loss by further going. Under this, you can define an amount after which your bet will be automatically closed out and you avoid further losses. Let’s understand sports spread betting with the example of football. So, the buyer prediction here is that the team will finish on 61 points or higher. If you make the prediction at $2 per point, and the team makes 70 points in total, you will be in the profit of 9.5 points, thus $19. But if your team finishes on less than 61.5, let’s say on 55 points, then you will lose $13 (6.5 points). Similarly, if you are selling the team points at 59 spread and bet $2 per point, and the team finishes on 50, then you will earn 9 points or $18, and vice versa. You can also spread bet on match basis or player basis rather than on the complete series points. If you buy this spread, then you are making the bet that the total player goal minutes will be more than 28. Now, if the player scores a goal in the 10th minute and another one in the 30th minute, the total would be 40, and you will be in a profit of 12 points. If the bet was for $2 per point, you’ll win $24. However, if your player only scores one goal in the, say, 2nd minute then you will lose 26 points and $52 in the match. The loss/profit margin can be significantly high depending on the difference. Other types of football spread betting markets include supremacy markets (team goal points), time of the first goal, total corners, goalscorer shirt numbers, etc. Now the question is that how to spread bet successfully? Here are some sports spread betting strategies you can follow to improve your chances of making profits from your spread bets. Many spread betting markets allow you to draw out your bets during the play. The value of spread may change in-play, depending on where the game is going. The bettors can use this opportunity to get out of their bets by selling at the time. Since you can lose even more than your stake in this type of betting, make sure to choose a bet wisely. Always prepare yourself for the worst-case scenario. It’s better to win small profits by leaving out early in the game rather than keep playing. Bet only if you can afford to lose the money you are betting. As a new spread bettor, make sure that you understand all the rules of the particular market and game before you start betting. Never bet when you are not able to focus or engaged otherwise. Spread betting is one of the most profitable types of betting, but it involves the high level of risks as well. So, trade carefully.